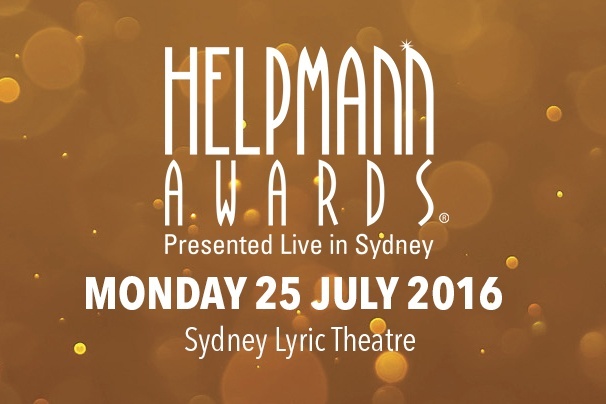 Live Performance Australia (LPA) today announced the details of the 16th annual Helpmann Awards, which will see the stars of the live performance industry come together with fans for a remarkable night on Monday 25 July at the Sydney Lyric Theatre. The Helpmann Awards are the premier celebration of Australia’s vibrant live performance industry and recognise distinguished achievement and excellence in Australia’s live performance sectors, including musical theatre, contemporary music, comedy, opera, classical music, theatre, dance and physical theatre, children’s presentations, regional touring, and cabaret. Minister for Trade, Tourism and Major Events Stuart Ayres said the NSW Government is proud to support the 2016 Helpmann Awards through its tourism and major events agency, Destination NSW. “The Helpmann Awards highlight the significant contribution the live performance industry makes to our State and the Australian community, and we look forward to another fantastic night of entertainment later this year,” Mr Ayres said. Jon Nicholls returns to the role of Executive Producer, continuing his long and successful history with the Helpmann Awards. Tickets for the 16th annual Helpmann Awards will go on sale in April. The full program for the 16th annual Helpmann Awards, including award category nominees, will be announced in June. Live Performance Australia is honoured to announce Michael Lynch CBE AM as the recipient of this year’s Sue Nattrass Award™. The prestigious 2016 Sue Nattrass Award honours exceptional service to the Australian live performance industry shining a spotlight on people in service roles that support our industry. Michael Lynch CBE AM is an exceptional arts administrator with an enviable reputation worldwide. He has held the positons of General Manager of the Sydney Theatre Company, The Australia Council for the Arts, and CEO of Sydney Opera House, London’s South Bank Centre, the 40-hectare Hong Kong arts precinct West Kowloon Cultural District Authority, as well as operating at a board level for the ABC and Film Victoria. “I am humbled at the recognition by my peers in the performing arts business. To be given the award named after the precious Sue Nattrass a legend in this business gives me a great thrill. I am honoured to receive the award” said Michael Lynch. The Sue Nattrass Award will be presented at the 16th annual Helpmann Awards Ceremony.